Pyronix is taking its Total Wi-Fi Security Solution on the road across the UK in November and December to meet and greet the security installer and system integrator communities. 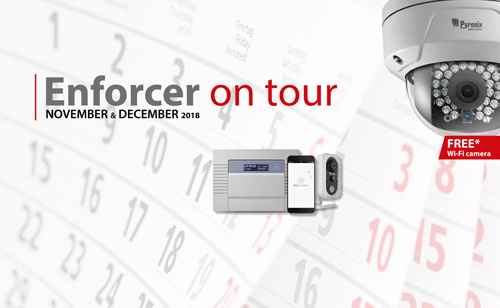 Visiting selected distributor outlets nationally, “Enforcer on tour” will give installers the opportunity to get up close to the Enforcer control panel. Pyronix Account Managers will be on-hand to explain the features of the panel, such as how its simplicity can make installers’ and integrators’ lives easier whilst being effective for end users.